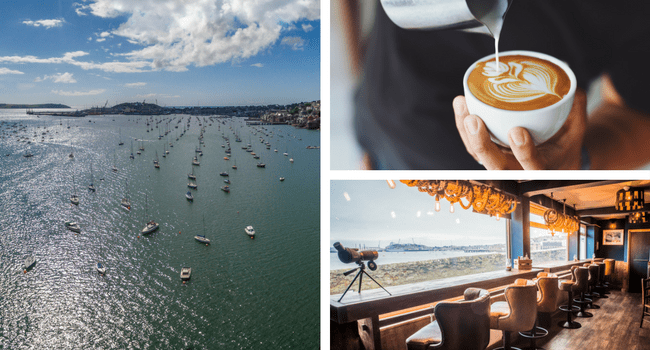 Home to the world’s third largest natural harbour, Falmouth boasts some of Cornwall’s best views. 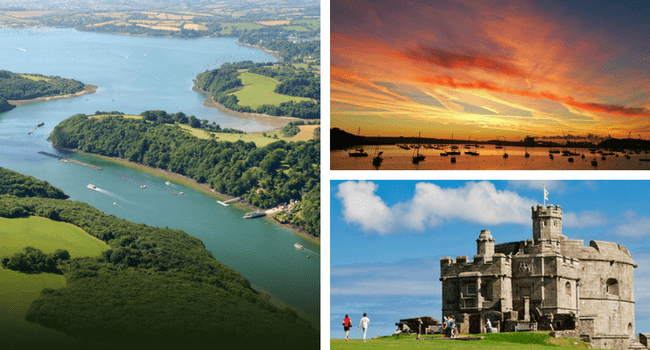 There are little spots along the high street where you can glimpse the sea only metres away, and the town is the ultimate gateway to coastlines, secret coves, and unspoilt creeks along the Fal River. We have the sunsets, the sunrises and the sea…some things are just as simple as that. Whether you walk around the moat or into the imposing castle itself, you’ll be astounded by its views, history and location. This coastal fortress is one filled with secrets and mystery, leading onto Pendennis Point which is perfectly perched on the rocky headland. Pack your binoculars and enjoy 360 degree panoramics out to sea. Cornish folk are famed for their gregarious attitudes and laidback lifestyles. Never will you feel more at home away from home. 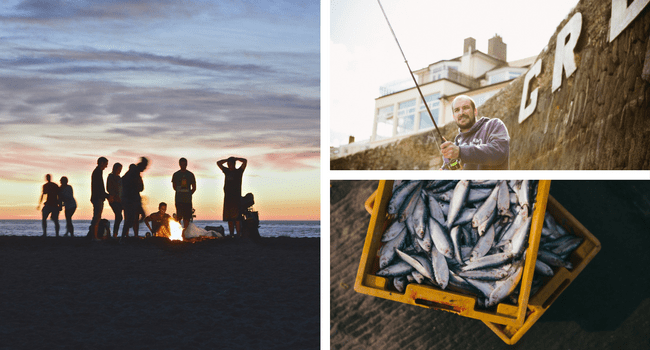 You can’t walk down Falmouth’s streets without a genuine “hello” or “alright bird?” It’s such a different pace, where you can take a breath, wear your flipflops whatever the weather, and be welcomed into a warm sense of community. 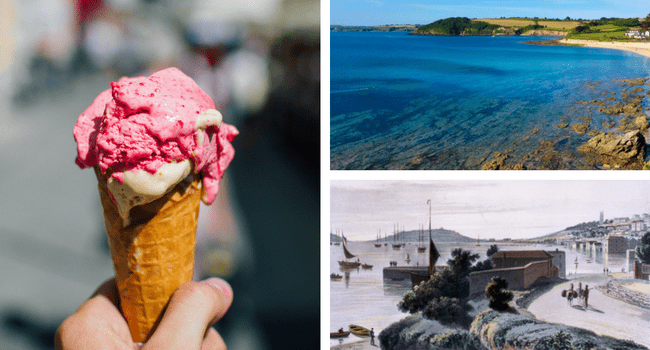 Falmouth has a quality line-up along its cobbled streets – from quirky boutiques, big names and vintage caves, to enticing cafés, ice cream parlours and independent micro-breweries. Whether you’re window shopping or breaking the bank, there are oodles of shops to chose from. Not forgetting (you guessed it! ), some of the world’s best pasty shops. Unlock our rich heritage and history of pirates, sailors, Henry VIII, Florence Nightingale, Daphne Du Maurier, and the whisperings of The Wind in the Willows at The Greenbank. 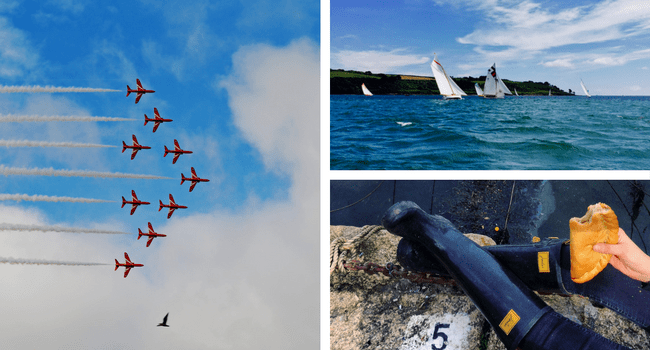 Falmouth’s line-up of famous names and great help in historical battles can be felt in its atmosphere. You’ll find nautical tales and never-told secrets hidden all around our vibrant seaside town. Swanpool, Castle, Gyllyngvase, Maenporth, and even The Greenbank has (a much smaller) one too. We aren’t short of sand, stones or spectacular sea views. Yes, we understand you might not be running in head first during winter, but a family outing, romantic walk and an eager puppy will all revel in how many beaches are on our doorstep. We certainly can’t get enough! We promise you’ll be in watersports heaven…whether you SUP, surf, slide, skim, swim, snorkel or sail. No skills are required to jump off our pontoon, or attempt to stand on a board (skill is required to look unflappable, however). You can pick up a kayak and paddle around the point, or if the winds are up go windsurfing at Swanpool. So grab your wetsuit and your sense of adventure, and get ready to set sails. 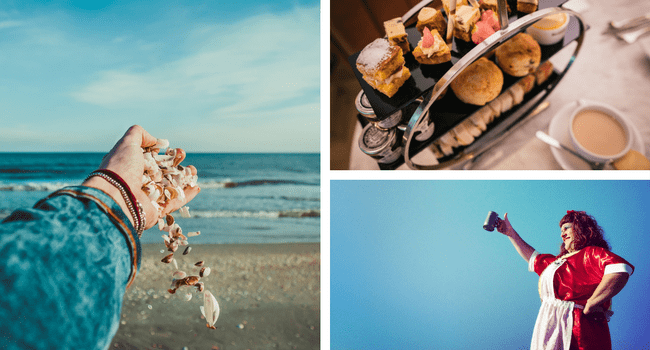 From prehistoric looking paradises, to prim and proper gardens good enough for afternoon tea – Falmouth is filled with green escapes, just in case the sea gets a bit too much. 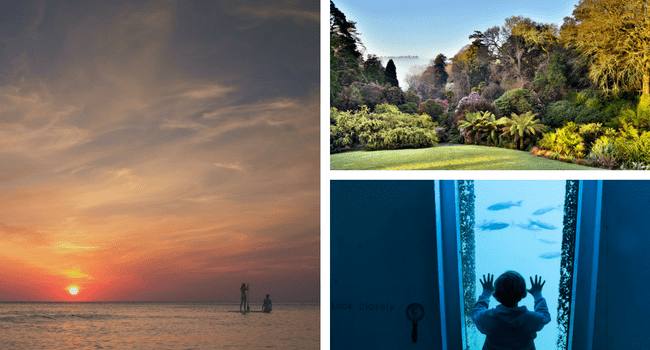 With direct access to beautiful spots for seclusion, and only round the corner from some of Cornwall’s bigger gardens, we thoroughly recommend a trip to Trebah, Trelissick, Glendurgan or Eden. If you have a thirst for knowledge, Falmouth is the place to quench it. We’re big fans of the award-winning National Maritime Museum Cornwall, set on our idyllic harbour. Expect interactive stories of the sea, smuggling and explorers, and your own space to re-imagine the events that came before us. And be sure to head to Falmouth Art Gallery for the leading art collection in the south west of England. Or if an alcoholic tipple isn’t your bag, pull up a chair and clutch a cup of freshly ground goodness. Numerous coffee shops in town offer the perfect excuse to indulge, divulge, and while away an hour or two – with treats ranging from vegan goodies and buttery pastries, to granny’s homemade cakes. Falmouth was recently named Britain’s Best Coastal Town. This is due to our great sense of spirit, creativity, constant carnivals, welcoming smiles, great food, and just wholesomeness. Our community works its best to be the best. There’s always something to do and to see. Falmouth University has retained its place as the UK’s number 1 arts university for the third year running in The Times’ Good University Guide. The Wood Lane campus meanders through a valley garden and provides the perfect venue for thinking, making and doing. And Tremough Campus in Penryn houses a melody of arts and sciences in its state-of-the-art facilities. This influx of youthful energy means that Falmouth is filled with work and play. You’ll be blown away by how forward thinking Cornwall is with regards to its energy consumption. We are forefront of our field in the country, trying our hardest to make the future a brighter and cleaner place for everyone involved. You’ll witness our landscape untainted but enhanced with glorious technology. We love food. And luckily for us, Falmouth is synonymous with the words “good food.” The town has a wide range of exquisite eateries, with the freshest local produce and seafood. From fine dining restaurants to weekly markets and little one-stop fresh food shops, we have everything foodies could possibly dream of. We don’t want to speak about food too much, but we do LOVE food. And Falmouth proudly serves one of Cornwall’s most cherished traditions: the cream tea. The Greenbank offers a selection of delectable goodies to help your afternoon go swimmingly. From chocoholics to gentlemen and no matter if you put jam or cream on first, we’re the ultimate location for a sweet treat! Not only are the affiliations with the university a creative haven for ideas, Falmouth is filled to the brim with great art. Exhibitions are held everywhere and anywhere you can find. The town is also littered with musical talent and gorgeous sculptures, and it’s hard to not find a part of Falmouth that the community hasn’t been a part of creating. Not much will stop that energetic buzz. There’s never a lull in Falmouth’s annual calendar. Be it beer festivals, music events, foodie fairs, sea shanty celebrations or sailing regattas, every month equals a lively town diary. Keep up to date with what’s going on here. Located in between Castle Beach and Gyllyvangse Beach, this stunning venue is a step outside of town and opposite the sea. Princess Pavilion plays host to music, food, drink and community events throughout the year and is nestled in the multi-award winning public garden Gyllyngdune. Well worth a visit. Although there has been mention of pasties already, we couldn’t write about anywhere in Cornwall without an entire section dedicated to the magnificent pasty. A local delicacy kneaded with love, folded with hope and baked with nothing but pure adoration, the pasty is a celebration of all thing Cornish. Falmouth town itself has an array of mouth-watering pasty shops (with vegetarian and sweet tooth options also included.) There’s no other way to try a pasty than from a true Cornishman’s oven!